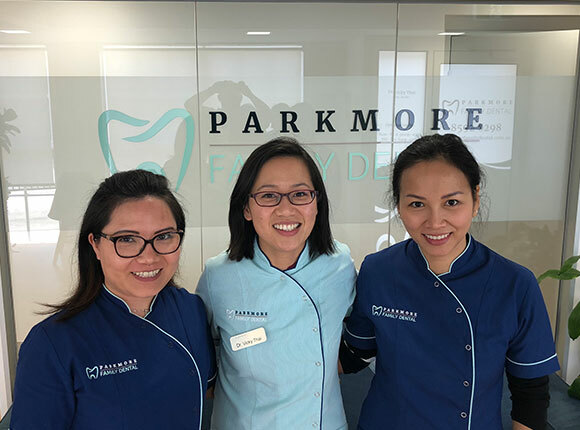 Dr Vicky Thai is the Principal Dentist and owner of Parkmore Family Dental, with over ten years of experience in dentistry. 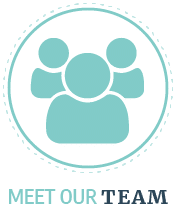 Before she opened the practice in 2017, Dr Vicky had been practising for more than 10 years in private and public practice. 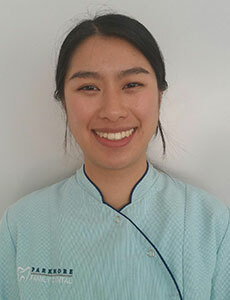 As well as being an experienced and highly qualified dental practitioner, Dr Vicky is multilingual, fluent in Cantonese, Mandarin and Vietnamese. She is a member of the ADA. 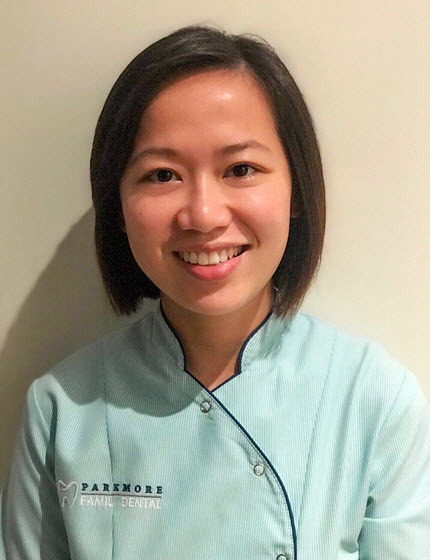 In addition to her work at Parkmore Family Dental, Vicky also practices at The Royal Dental Hospital Primary Care Department and is a Clinical Demonstrator at The University of Melbourne. Dr Vicky Thai holds a Bachelor of Dental Science from The University of Melbourne having graduated from there in 2006. 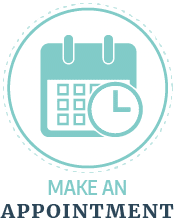 Dr Vicky is also currently taking Progressive Orthodontic Seminar courses. When she is not at Parkmore Family Dental, Dr Vicky enjoy scuba diving, functional fitness, wining and dining and art appreciation. 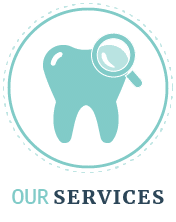 Dr Miranda is an Associate Dentist at Parkmore Family Dental. She is of Cambodian Chinese descent and can speak English, Teochew, Hainanese and Mandarin. After graduating, she started her career in the Mornington Peninsula region, before moving to Griffith in rural New South Wales. 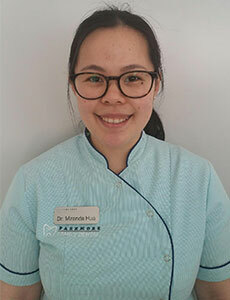 Dr Miranda then worked in Griffith for 18 months before joining Dr Vicky Thai at Parkmore Family Dental. 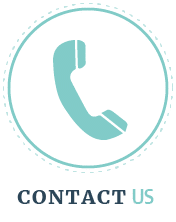 Dr Miranda holds a Bachelor of Biomedicine and is a Doctor of Dental Surgery, having studied for both qualifications at the University of Melbourne. She graduated in Biomedicine in 2011 before graduating from the Melbourne Dental School in 2015. 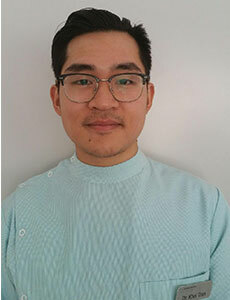 Dr Miranda is interested in all aspects of dentistry, especially restorative dentistry. She is passionate about helping patients and their families improve and maintain their oral health. Dr Miranda’s hobbies are cooking, watching documentaries and Muay Thai kickboxing. Dr Nathalin Thea is a Dentist at Parkmore Family Dental. She recently graduated from the University of Melbourne with a Doctor of Dental Surgery. Before studying dentistry Dr Nathalin obtained a Bachelor of Science (Honours) also from the University of Melbourne. She can speak English, Teochew and Khmer. Dr Nathalin enjoys all aspects of general dentistry however has a special interest in Oral surgery and Restorative Dentistry. Patient care is her number one priority so when you come visit her she will try to make your visit as enjoyable and comfortable as possible. Being a child at heart, Dr Nathalin enjoys seeing young children and helping ease them into dental treatment which to some can be quite scary at first. In her spare time Dr Nathalin likes running, playing video games and trying to find her new favourite place to eat. Feel free to recommend her your favourite restaurant! Dr Khoi graduated with a Bachelor of Dental Surgery from the University of Adelaide. He enjoys all aspects of dentistry, with interests in Preventative, Aesthetic, and Oral surgery. In his time in Adelaide, he had extensive training in both Community and Rural Dental settings. He is fluent in written and spoken Vietnamese. Brought up in a migrant family in Keysborough, he is very familiar with the surrounds and the strong sense of family and cultural diversity of the area.